Another creeking destination in the Uintas. Plenty of IV whitewater, some drops, wood, and portages. Take highway 150 east from Kamas, UT. About 2 miles after the turn off to the Murdock Basin Road, highway 150 crosses the provo river. Put in here for the upper gorge run. Take highway 150 easy from Kamas, UT. Turn off on the Murdock Basin Road. 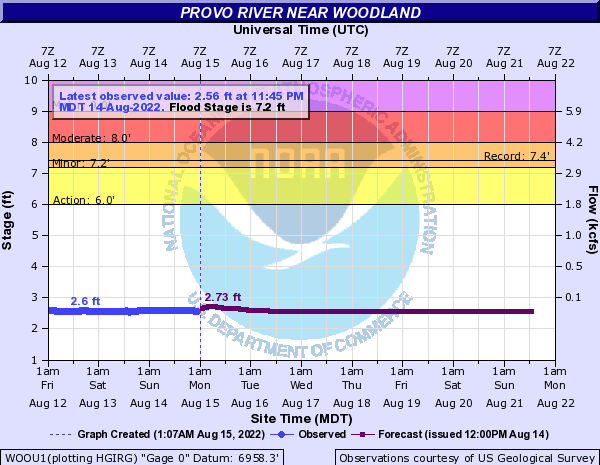 It will immediately cross the provo river. Take out here.